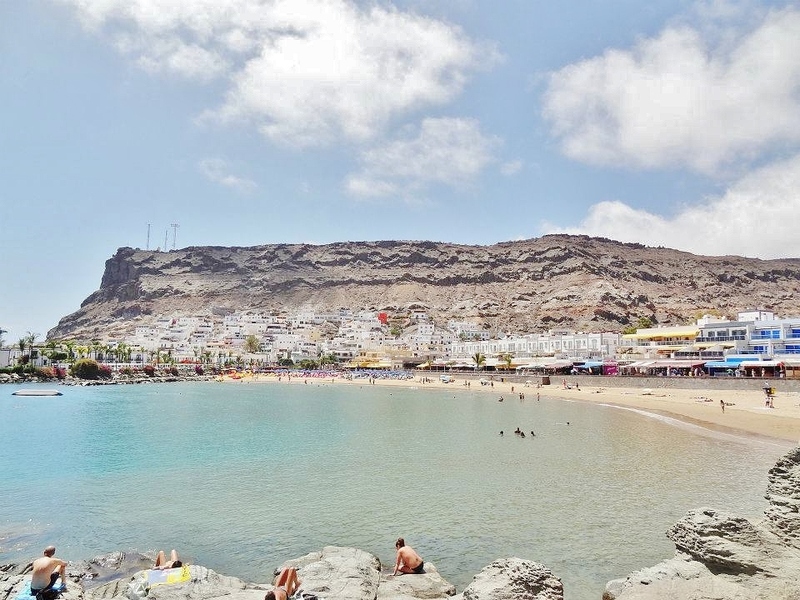 Puerto de Mogán is a picturesque resort and fishing village situated on the southwest coast of the island of Gran Canaria. It attracts many tourists, those who either stay for a holiday break or pop over for a day-visit. On this particular trip we were on a day-visit. 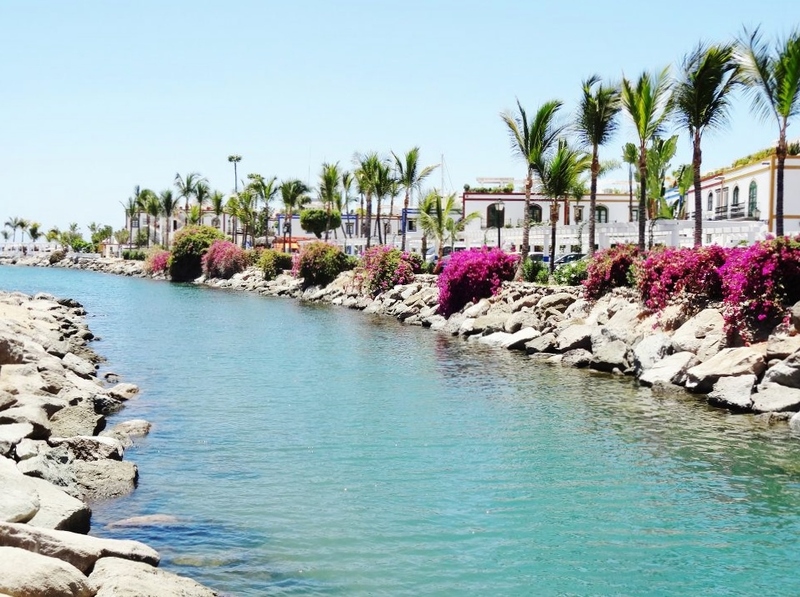 When visiting Gran Canaria we were lucky enough to be staying at the Lopesan Babao resort in Meloneras (full post on my stay to follow), when we managed to get a great half board deal (now this place appears to be a lot more expensive!). Because we booked our holiday with Thomson, the usual day-trips to popular parts of the island could be organised through the Thomson reps based in our hotel. Puerto Mogan occupies such a beautiful spot on the south-west coast of the island and it would have been lovely to have a couple of days staying here in one of the many luxurious hotels on offer in and around the resort. 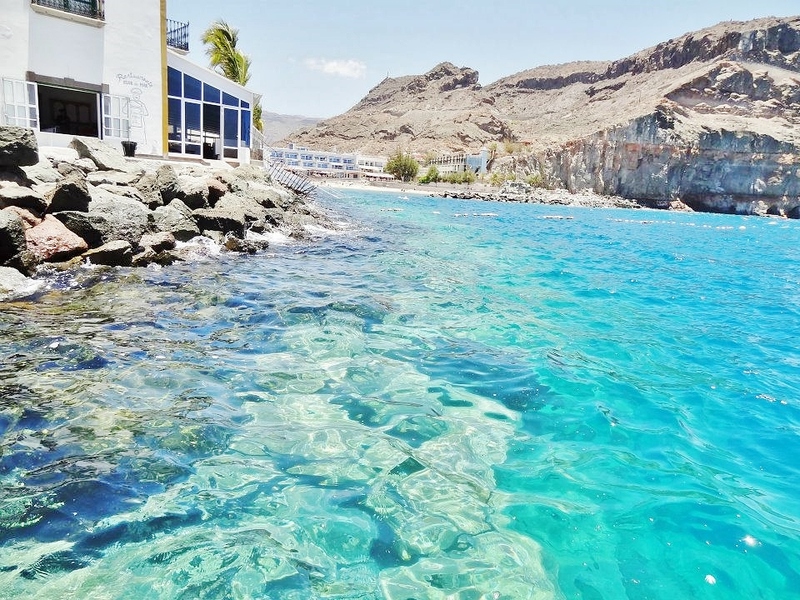 This photogenic resort is largely made up of a marina, fishing harbour and beach. 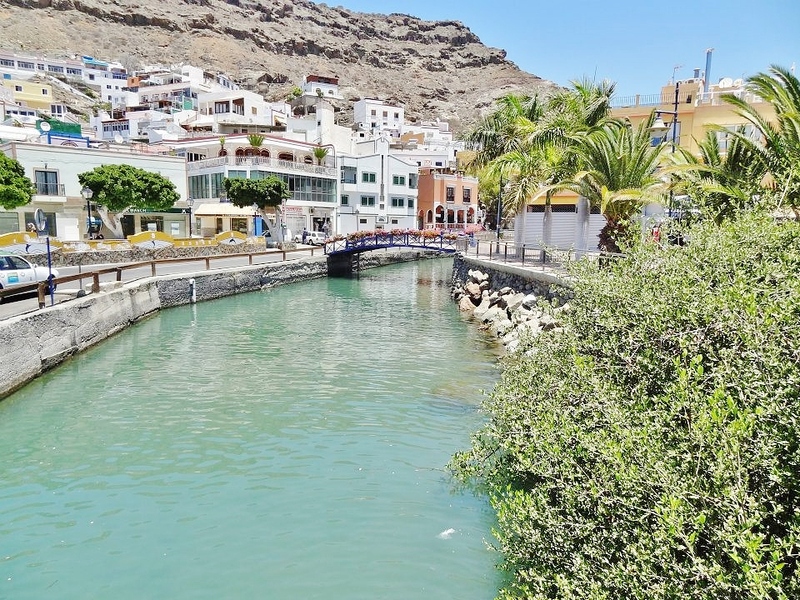 There are many canals which link up the marina to the fishing harbour, which have in turn led the popular fishing village being referenced with the nickname the "Little Venice" of the Canaries. 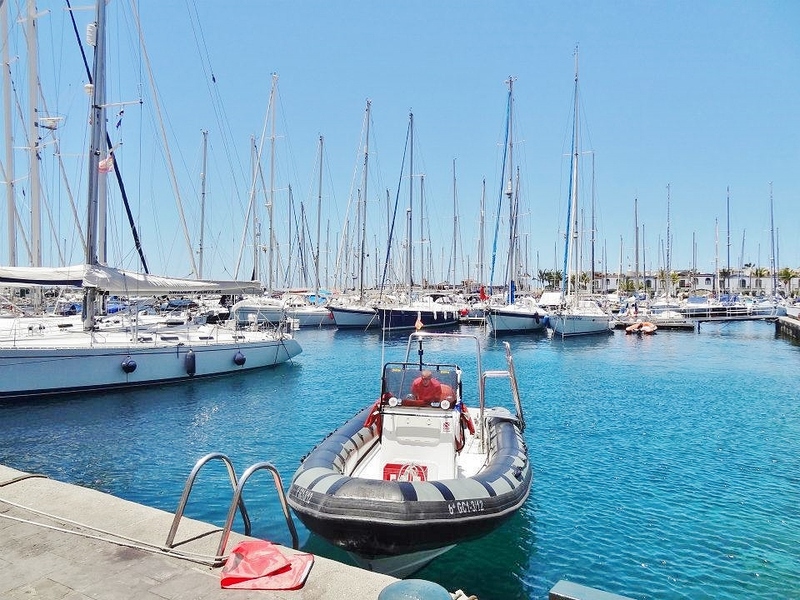 The marina is popular with tourists and visitors as there are many restaurants and bars which fringe the marina and beach front and prove a great spot for having a bite to eat or a refreshing cocktail while providing a great view of the harbourside. On Friday's there is even a popular market which is said to bring tourists far and wide from across the island. There were day-trips arranged on a Friday with Thomson specially organised to give you a chance to visit this popular Puerto Mogan market! 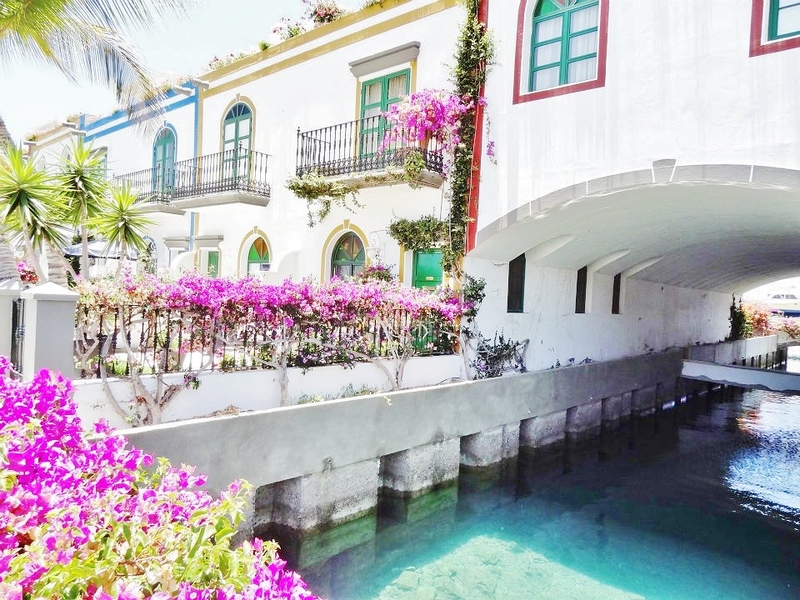 The part referred to as "Little Venice" itself is built up with two-storey apartment buildings with roof terraces and gardens which are bursting with colourful flowers and draped plants from balconies, which lend Puerto Mogan a helping hand towards its resemblance of Italy's famous Venice tourist spot. On the promenade by the beach there are a host of restaurants, offering a variety of cuisines. 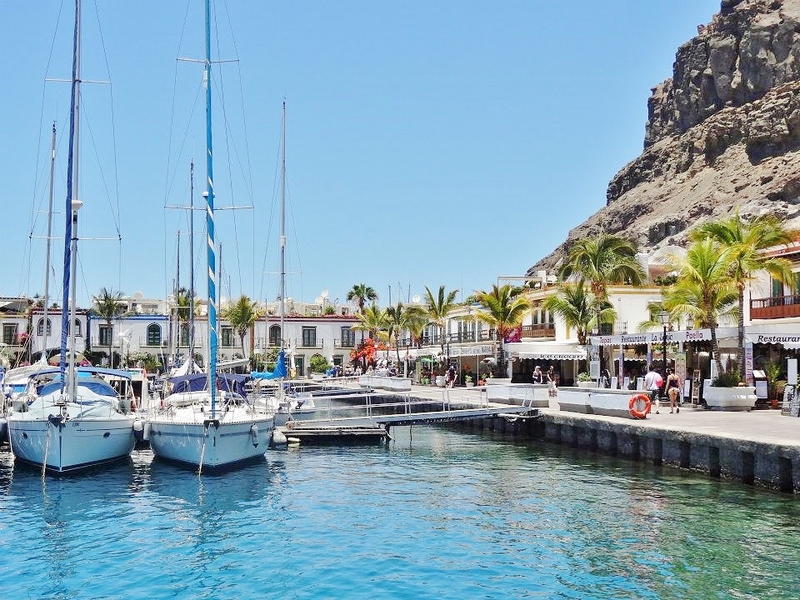 They offer an enviable spot where you can watch the boats, or just sit and take in the glorious all-year round warm temperatures the Canaries are well-known for! 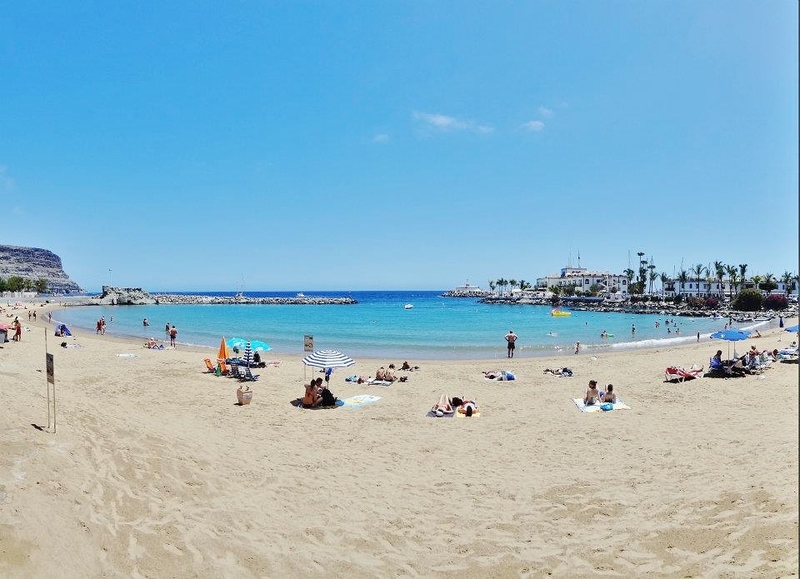 If your the type of person who can lie around on a beach all day there are plenty of sun loungers and parasols about, and there are even pedaloes and canoes for hire on the beach for the equally curious water-sports fanatic. This beautiful fishing village is really worth a visit, merely just to explore "Little Venice" and its hidden treasures. 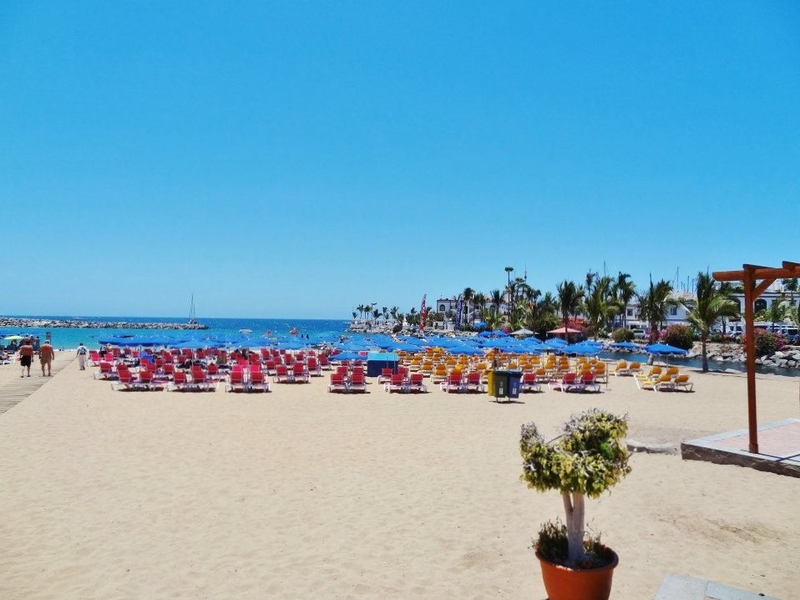 If I was to go back to Gran Canaria, I'd definitely love to stay in the Cordial Mogan Playa Hotel which is classed by many as one of the best hotels in Gran Canaria. This place looks incredible! 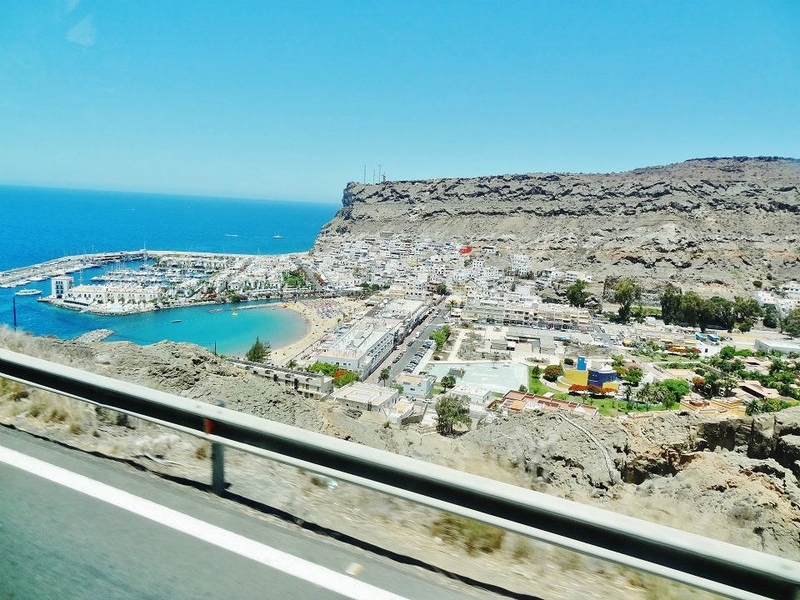 I knew the Canaries were pretty but I thought they were all touristy and built up, I didn't realise there were beautiful little villages like this there!